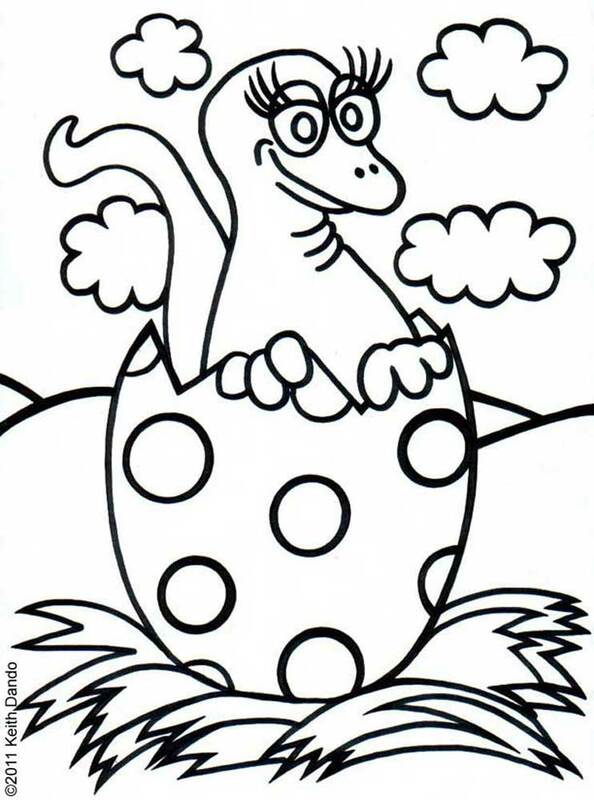 Something a bit different in the way of Easter colouring here – a baby dinosaur hatches out of a colourful egg. A nice, simple picture with bold lines, making it easy for your child to colour. Our thanks to Keith Dando who created this picture for Rooftop Post. You might also like to colour this dragon and her eggs or this snaky lake monster!